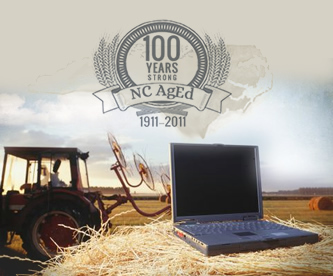 Founded as the Young Tarheel Farmers, Agriculture Education in North Carolina has a rich history of preparing future generations for the challenges of feeding a growing population. 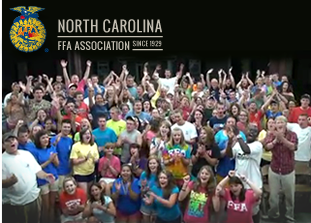 Since 1929, North Carolina FFA has continued to help the next generation rise up to meet those challenges by helping its members to develop their own unique talents and explore their interests in a broad range of career pathways. So today, we are still the Future Farmers of America. But, we are Future Biologists, Future Chemists, Future Veterinarians, Future Engineers, and Future Entrepreneurs of America, too. FFA is structured on three levels: local, state and national. At the national level, FFA is led by a board of directors and six student national officers. FFA programs are funded through scholarhsips and private donations at the local, state and national level. National dues for each member are $7 per year. The National FFA Organization is a research and support organization that does not select, control or supervise state FFA association, local chapter or individual member activities. Educational materials are developed by FFA in cooperation with the U.S. Department of Education as a service to state and local agricultural education agencies. The National FFA Organization is led by a board of directors and six student national officers. Together, they act on recommendations from the national convention delegates and agricultural education’s stakeholders to set the vision and policy for FFA. The national FFA staff carries out the policies and provides programs and services for the organization. The national FFA officers represent the members and actively guide the course of the organization during their year of service. The National FFA Organization operates under a Federal Charter granted by the 81st Congress of the United States, and is an integral part of public instruction in agriculture. The U.S. Department of Education provides leadership and helps set direction for the FFA as a service to state and local agricultural education programs. State FFA officers lead the membership of the state associations and are elected by state FFA convention delegates. Local FFA Chapters are chartered through the state associations. The heart of the National FFA Organization is at the local chapter level. FFA chapter may be chartered in any public school with an agricultural education program. Leadership is provided by student officers who are elected each year by the chapter’s members, and by the agriculture teacher who serves as the advisor for the chapter.